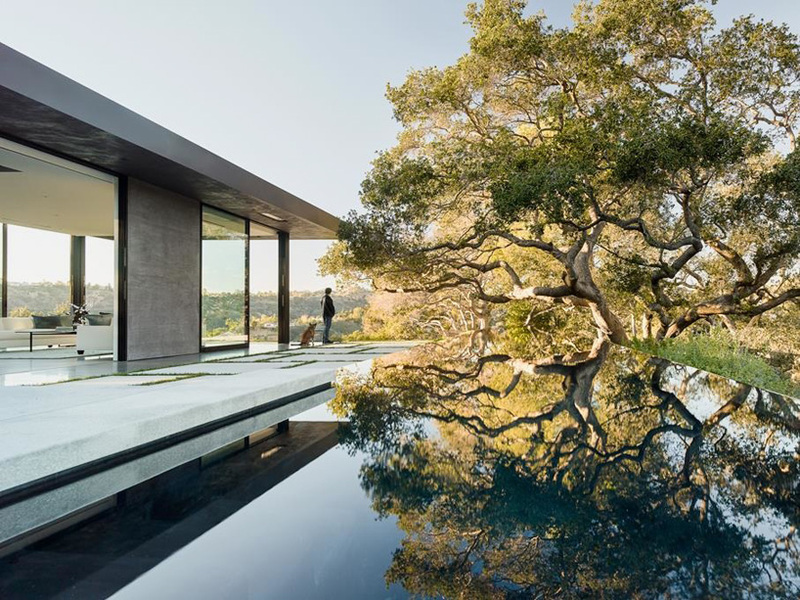 On a property planted with over 100 oak trees, an ultramodern getaway by Walker Workshop gleams in glass and steel, a 75-foot-long infinity pool surrounding it on three sides. 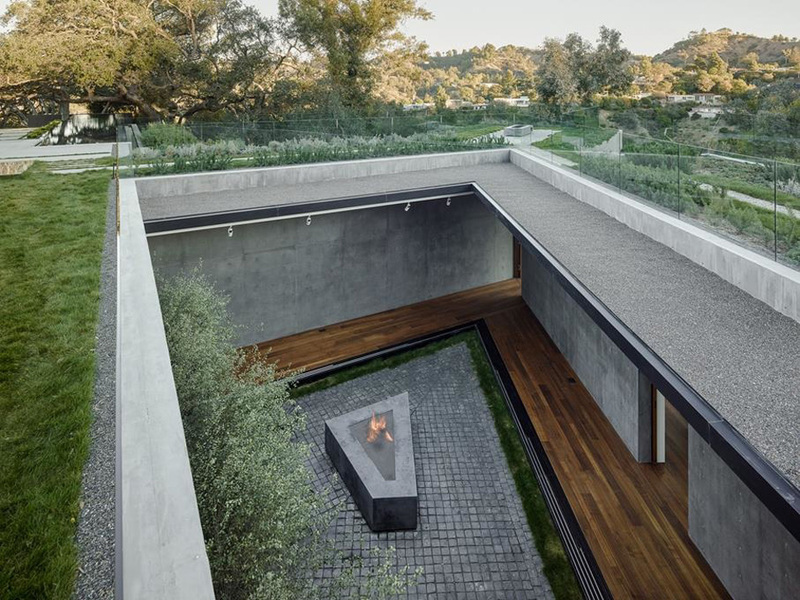 But while the house looks modest in size from ground level, it’s hiding a secret: most of its 8,000 square feet are nestled into the earth, disguised by concrete walls and planted terraces. 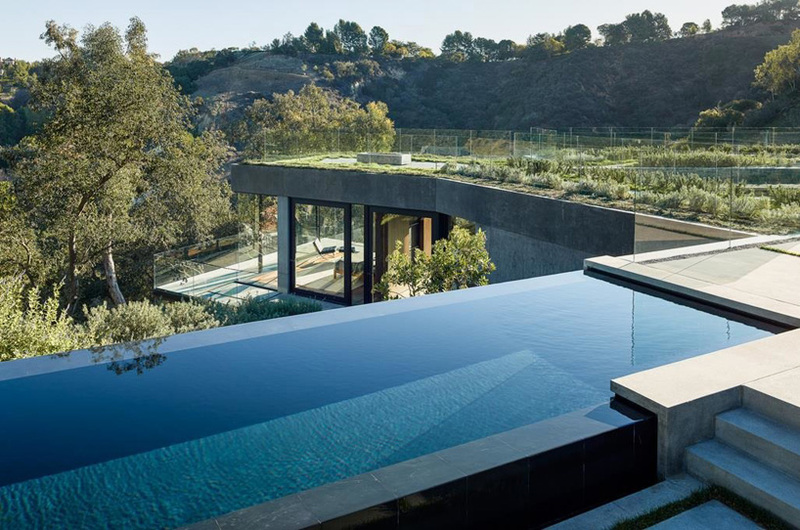 Oak Pass House in Beverly Hills takes advantage of the undulating landscape to create a floor plan that shelters part of the home within the earth. The bedrooms are nestled into the ground on the first level for privacy and passive cooling, while the common areas overlook the valley from the upper floor. Glazed walls on this top level provide almost completely uninterrupted views, and glass balconies allow residents and guests to walk right up to the edge of the elevated terraces to take it all in. 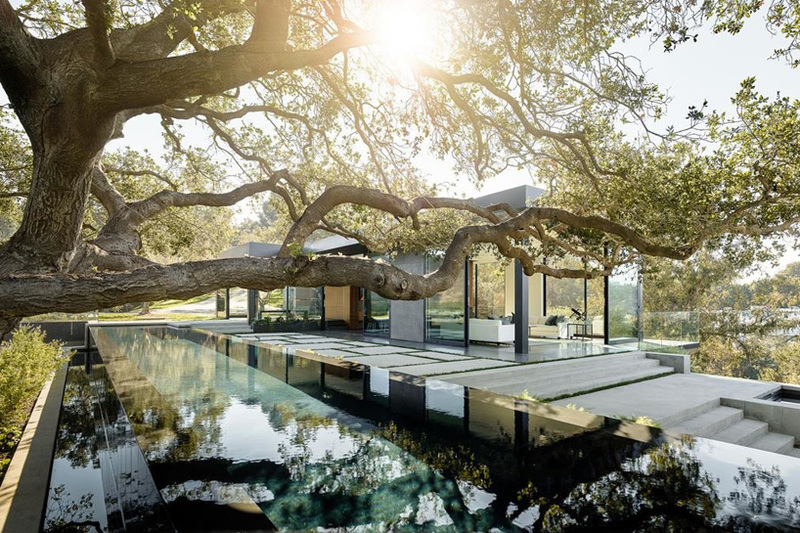 The unusually large infinity pool mirrors the sky, passing beneath one of the oak trees. 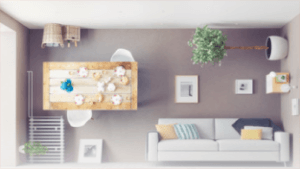 Take a set of concrete steps to the roof of the home and you’ll find a garden planted with edible herbs, while a sunken courtyard hides a cozy space to sit around a fire.